Top quality products for hunting, fishing, camping and all your outdoor adventures. WE HAVE DOG TOYS !
" 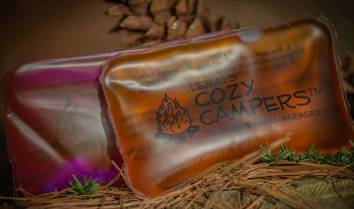 Heat in a snap"
These are the fastest heating hand warmers on the market. They are made of sodium acetate and are non toxic. Simply flex the metal disc until crystals form. The heat is instant. They stay warm for about an hour to two depending on conditions. When done simply boil and let cool. The button is ready to flex when needed. Can be used hundreds of times. New Deer Tonic Buck lure. After years of research and testing we have what we believe to be the best deer lure on the market. It is the only lure out there with a Bag-A-Buck guarantee. If you don't shoot a buck and or see more deer than you ever have, we will refund 100% of the purchase price. Unlike most "deer pee" lures that are made of synthetic deer urine. 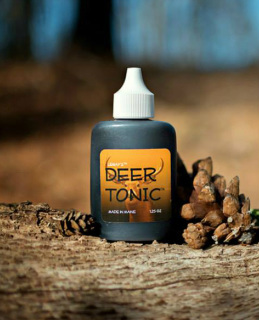 Deer Tonic is all natural and made from a plant oil that deer(and my wife's goats) really love. It's like cat nip for deer. Made in Maine and 100% Guaranteed! How many other buck lures would dare put a guarantee on their product? Originally designed for a local shooting range. 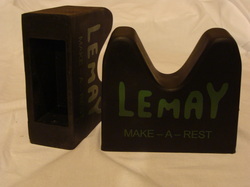 a 2 x 4 stud to make any type of shooting rest needed for any situation. 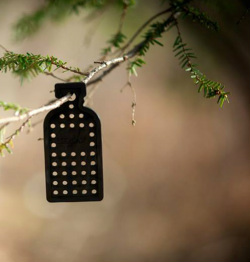 This is our new Scent Tag coming out in the fall of 2013.
animals without the use of food. The scent is molded right in the recycled plastic. Camera as not to cause damage from a hungry animal.